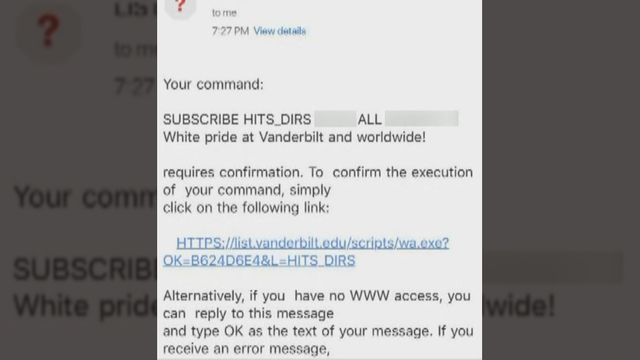 Vanderbilt University has launched an investigation after several students and faculty members received a racist email promoting white supremacy. Monday night, students went sent an email asking them to subscribe to a white supremacist email list. At this point, it appears that the email only went out to certain students who are part of a black on-campus fraternity organization. The N-word was used in the email and was followed by a sentence reading, "White Pride at Vanderbilt and Worldwide." Around 1 a.m. Tuesday, Vanderbilt officials Tweeted about the incident, saying it was "absolutely unacceptable." 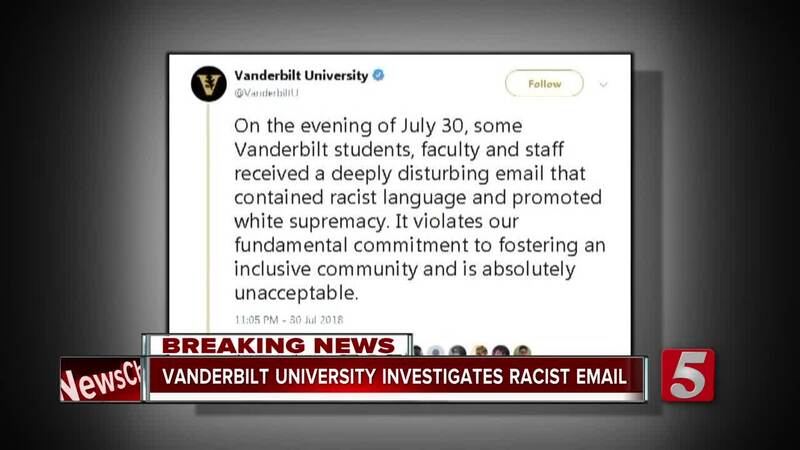 On the evening of July 30, some Vanderbilt students, faculty and staff received a deeply disturbing email that contained racist language and promoted white supremacy. It violates our fundamental commitment to fostering an inclusive community and is absolutely unacceptable. Vanderbilt police and the university's IT department have launched an investigation. One senior who got the email told the student newspaper that she believes this was done by someone who has access to the university’s email system. Some students also said that a statement from the university does not go far enough to address the racist email.